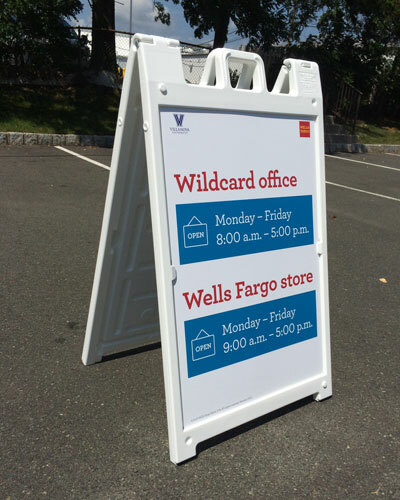 Deluxe sandwich board signs are great for retail or commercial businesses looking to communicate their message. 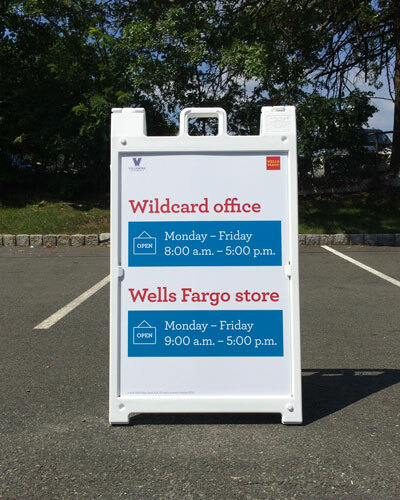 Our signs are made from high-end, durable material that allows you to change the artwork so that the A-frame hardware can be reused. Artwork can be placed on both sides for maximum visibility. To increase the stability of the sign, the frame can be filled with sand or water. The billboard sign makes the biggest impact. 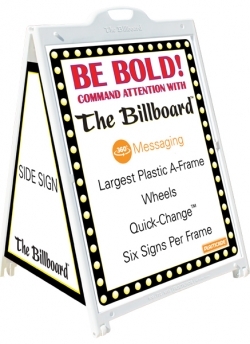 Artwork can be placed on all four sides for 360 degree visibility. 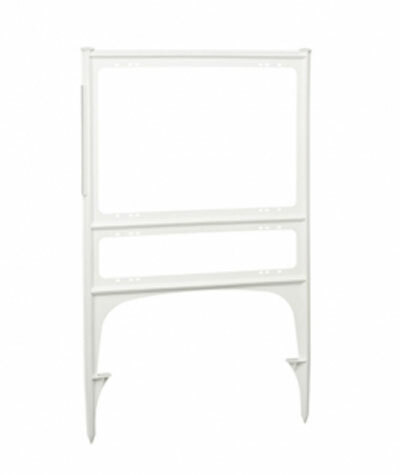 The front and back of the frame can hold artwork 36" x 48" and can be changed if needed. Wheels are included on the bottom of the frame. Ask about a rider that can be placed on the top for additional messaging. This durable lawn sign is lightweight and is an upgrade from the standard wire step stake signs. This sign is popular with the real estate and construction industries. It holds 2 sign sizes (24” x 18” and 24” x 6”). It comes in black and white. This sign frame is easy to install with foot-push mounts and hammer posts on the top if you require installation for hard soil. Here are the various sizes you can choose from. Please contact us with any questions.